Vocational experts (VEs) have been educated and trained to develop in-depth descriptions about jobs requiring minimal to specialized skills. They also remain up-to-date about future job trends, earning capacities and job market conditions. In addition, (VEs) usually have experience in vocational counseling and job placement strategies. The SSA may employ a vocational expert to review documents of an applicant’s case before an appeals hearing. Questions from the ALJ or the applicant’s lawyer are then answered by the VE. Depending on a vocational expert’s availability, testimony from a VE can be in person, via teleconferencing or phone. 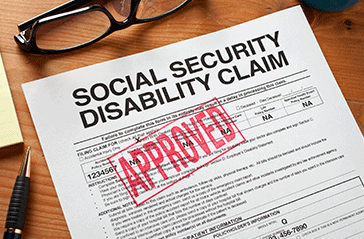 What Role Do Vocational Experts Have During Disability Claim Hearings? VEs offer objective, expert opinions to the Administrative Law Judge’s questions regarding the skill level of the claimant, mental and physical demands of different occupations and the ability of the claimant to transfer their existing skills to other employment positions. Current or past jobs of claimants are identified by VEs in the Dictionary of Occupational Titles. Jobs listed in the DOT are assigned a code number. Any job held by the claimant over the past 15 years will have a DOT code listed by the vocational expert. Also, VEs do not know anything about a claimant’s medical history. They do not offer opinions about how a disability may limit a person’s ability to work. Why Is It Important to be Represented by a Disability Lawyer During an Appeals Hearing? After the Administrative Law Judge questions a vocational expert, the claimant’s disability lawyer can cross-examine the VE. Disability attorneys will try to show that jobs the VE said the claimant could perform are too difficult for their client by providing additional medical documentation to the VE. It is the goal of a disability attorney to have the VE say their client cannot perform the jobs they have suggested the client could do. If you need to appeal your disability claim and expect a vocational expert will attending the hearing, contact London Disability today to schedule a consultation appointment.